How Much Does the 2018 Land Rover Discovery Sport Cost? How Many MPG Does the 2018 Land Rover Discovery Sport Get? What's New for the 2018 Land Rover Discovery Sport? 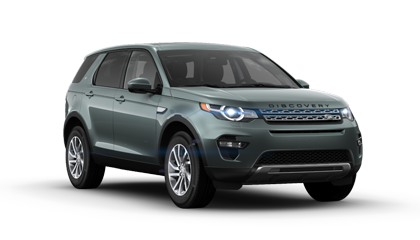 As a compact crossover SUV with a luxurious design, the 2018 Land Rover Discovery Sport places a heavy emphasis on high-end amenities and sporty performance. An all-new turbocharged engine is integrated into this family-friendly vehicle. Having a displacement of only 2.0 L, the turbo engine whips out 237 hp or 286 hp, depending on the trim. It takes 6.3 seconds for the I-4 engine to accelerate the vehicle from rest to 60 MPH. For its relatively lightweight design, the turbo powertrain offers an impressive towing capacity of just more than 4,400 pounds. The approach and departure angles have been adjusted to improve the car's off-road performance. Speaking of going off the road, the Discovery Sport rolls on the Torque Vectoring technology that maximizes traction on various surfaces. Major updates have been done to the Terrain Response system that's adapted to handle grass, mud, sand, rocks and other landscapes. Additional mechanical input is provided by the Adaptive Dynamics module that monitors real-time conditions. When going down a steep incline, this Land Rover is stabilized by the Hill Descent Control. Regardless of the terrain, the nine-speed automatic transmission system keeps this crossover SUV moving at the right gear ratios. The engineers at Land Rover have conducted rigorous testing of this robust and stylish model. For example, the car survived gusts of more than 150 MPH in a wind tunnel. Even when exposed to extremely low freezing temperatures, the Discovery Sport operated properly. The spacious cabin in this 2018 Land Rover model is furnished with class-leading amenities. With the tap of a touch screen, you can instantly customize the heating settings for the front seats. You can also enhance the interior ambient LED lighting that's available in five colors. For its compact design, the Discovery Sport has one of the impressive interior seating configurations in its class. An optional third row is available to accommodate two passengers. You can deploy or collapse this seating layout with a single smooth motion of a lever. The second row includes three traditional seats that could also be folded. Instead of having levers and handles, this high-end model has an electronic rotary knob for the transmission system. A head-up display (HUD) accentuates the sophisticated interior design of the Discovery Sport. This laser-powered display is synced with the infotainment system that's available with a 10.0-inch touch screen. The InControl applications are easily accessible in the Pro and Pro Touch multimedia systems. Connected to hundreds of music channels on SiriusXM and other services, the Meridian sound system is available with 10, 11 or 17 speakers. A Wi-Fi hotspot is another high-tech addition to this well-appointed car. Come to our Land Rover dealership and take a test drive in the 2018 Discovery Sport. Our inventory includes the SE, HSE and HSE Luxury models. You can easily customize your preferred trim with the Complete Dynamic Design Package and other optional additions. * Price shown is Base Manufacturer's Suggested Retail Price. Excludes $995 destination/handling charge, tax, title, license, and retailer fees, all due at signing, and optional equipment. Total Manufacturer's Suggested Retail Price includes $995 destination/handling charge and may include optional equipment but excludes tax, title, license, and retailer fees, all due at signing. Retailer price, terms and vehicle availability may vary. See your local authorized Land Rover Retailer for details. ** All figures are EPA estimates. Actual mileage may vary.